This course is designed to teach Correction and Detention Special Operations teams the fundamentals and concepts behind conducting various operations with in the correctional environment. 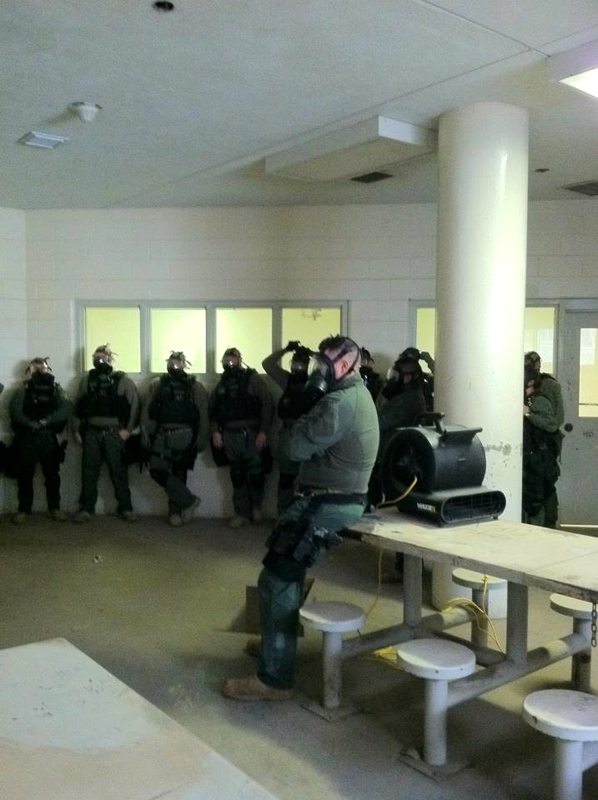 Correctional tactical teams are called upon to answer numerous situations such as: Cell Extractions, Medical Escorts, Pod Dominations, Hostage Rescue, just to name a few. All of these situations are at many times conducted under the use of chemical agents thus requiring operators to utilize and perform while using agency approved gas mask. This course introduces and exposes operators to all these factors and upon completion of the 4 day course, they will leave with a much better understanding of what it takes to perform under these situations with their gas mask. This course is not for the faint of heart, but will teach students how to over come any challenges presented to them. Operators standing by as gas is introduced inside a confined space (Pod) before starting operations.